The Essential Grid template downloads as a .zip file. In the dashboard's left navigation bar, hover over "Ess. 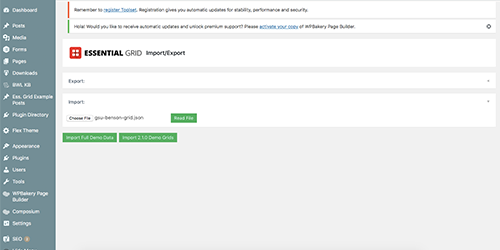 Grid" and select "Import/Export." Note: Do you not see this tab? Essential Grid may not be installed on your website. Contact our support team for help. 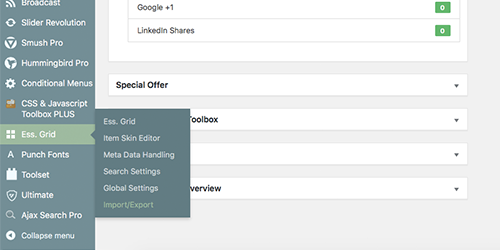 Select “Import:” and then select “Choose File.” In your computer's file browser, navigate to the .json file within the unzipped folder and select it.